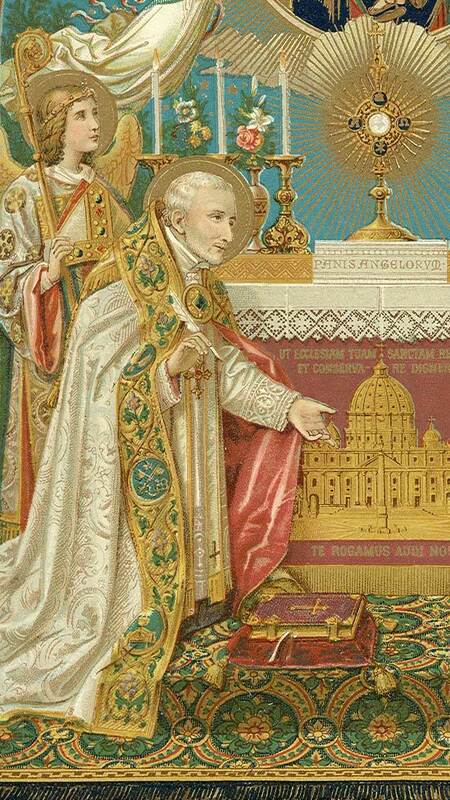 Aug 1 – St Alphonsus Mary de Liguori, CSsR, (1696-1787), Bishop & Doctor of the Church, “Doctor Zelantissimus”, Doctor Most Zealous | ADULT CATECHESIS & CHRISTIAN RELIGIOUS LITERACY IN THE ROMAN CATHOLIC TRADITION: hosting ONLY True Christians!! !, or "How to think Catholic!!" 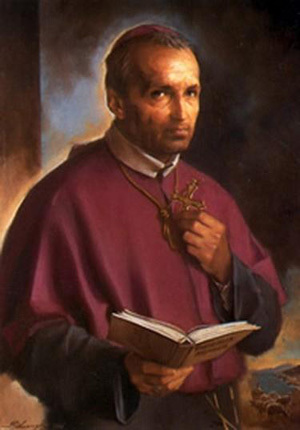 Born to the nobility, Alphonsus Liguori was a child prodigy, was extremely well-educated, and received his doctorate in law from the University of Naples at age 16. He had his own practice by age 21, and was soon one of the leading lawyers in Naples, though he never attended court without having attended Mass first. He loved music, could play the harpsichord, and often attended the opera, though he frequently listened without bothering to watch the over-done staging. As he matured and learned more and more of the world, he liked it less and less, and finally felt a call to religious life. As a Neapolitan lawyer, he lost a court case in a spectacular fashion, when it turned out that a key document in his case had been misinterpreted by him and in fact proved his opponent’s case instead. He declined an arranged marriage, studied theology, and was ordained at age 29. Preacher and home missioner around Naples. Noted for his simple, clear, direct style of preaching, and his gentle, understanding way in the confessional. Writer on asceticism, theology, and history; master theologian, he was often opposed by Church officials for a perceived laxity toward sinners, and by government officials who opposed anything religious. He founded the Redemptoristines women’s order in Scala in 1730, and founded the Congregation of the Most Holy Redeemer (Liguorians; Redemptorists) at Scala, Italy in 1732. The Redemptorists proved to be a quarrelsome congregation: their formal establishment had been delayed by more than a decade because of internal dissension. Appointed bishop of Saint Agata dei Gotti by Pope Clement XIII in 1762, Liguori worked to reform the clergy and revitalize the faithful in a diocese with a bad reputation. He was afflicted with severe rheumatism, and often could barely move or raise his chin from his chest. In 1775 he resigned his see due to his health, and went into what he thought was a prayerful retirement. In 1777 the royal government threatened to disband his Redemptorists, claiming that they were covertly carrying on the work of the Jesuits, who had been suppressed in 1773. Calling on his knowledge of the Congregation, his background in thelogy, and his skills as a lawyer, Alphonsus defended the Redemptorists so well that they obtained the king’s approval. However, by this point Alphonsus was nearly blind, and was tricked into giving his approval to a revised Rule for the Congregation, one that suited the king and the anti-clerical government. When Pope Pius VI saw the changes, he condemned it, and removed Alphonsus from his position as leader of the Order. The Redemptorists split into two congregations, both of whom rejected him. This caused Alphonsus a crisis in confidence and faith that took years to overcome. However, by the time of his death he had returned to faith and peace. Alphonsus vowed early to never to waste a moment of his life, and lived that way for over 90 years. Declared a Doctor of the Church by Pope Pius IX in 1871. 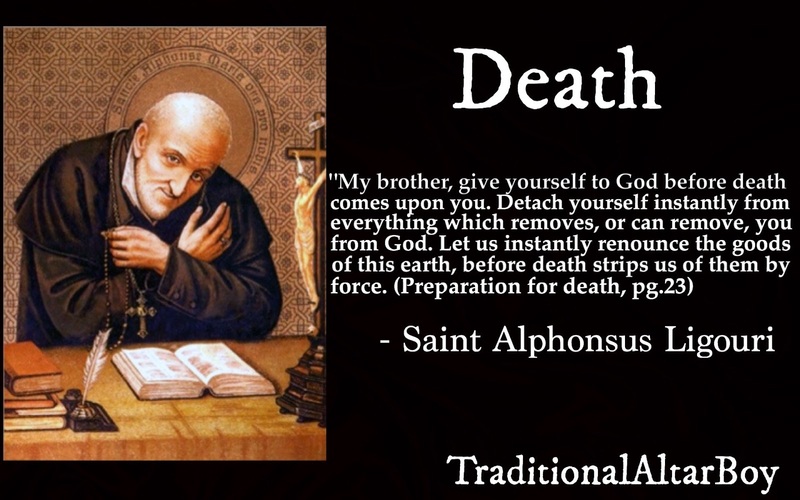 GLORIOUS Saint Alphonsus, Bishop and Doctor of the Church, devoted servant of our Lord and loving child of Mary, I invoke you as a Saint in heaven. I give myself to your protection that you may always be my father, my protector, and my guide in the way of holiness and salvation. Aid me in observing the duties of my state of life. Obtain for me great purity of heart and a fervent love of the interior life after your own example. Great lover of the Blessed Sacrament and the Passion of Jesus Christ, teach me to love Holy Mass and Holy Communion as the source of grace and holiness. Give me a tender devotion to the Passion of my Redeemer. Previous PostAug 7 – Pope St Sixtus II, d. 258 AD, MartyrNext PostSolemnity of the Epiphany: Why did God become a man?